Republicans and Democrats and Jury Awards: Does Party Affiliation Matter? Wisconsin Lawyer (link since removed) has an interesting article on the impact a juror’s political bent has on the amount of damages awarded in personal injury cases. The study contained 476 mock jurors who identified themselves as either Democrats or Republicans. 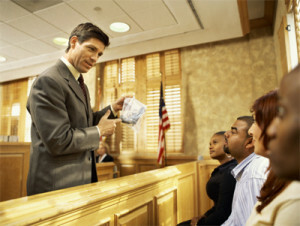 The jurors participated in mock trials for cases involving a personal injury, product liability, or medical malpractice and were divided into four basic categories of damages, which were determined based on how much they actually awarded during a mock trial: no damages, low damages, medium damages, and high damages. The results indicated that being a self-described Republican or Democrat was not predictive of the damage award. In fact, 22.3 percent of self-described Democrats awarded no money damages, while 20.8 percent of self-described Republicans awarded no money. Reading over this post again in 2019, I can report that I am repeatedly amazed at how some of the strongest jurors for the plaintiff in our focus groups are often the same people that list Donald Trump as the person they admire the most on their questionnaire. But it is not really surprising. People who support Trump are often not fans of the system and liked him because he is a disrupter. They are not pure economic Republican. So on some level, this makes sense. I don’t think I would want on the jury someone who says the person they admire most in history is Adam Smith or Friedrich Hayek (or Paul Ryan, for example). Does this mean Plaintiffs’ personal injury lawyers should ignore information, assuming the lawyers have access, about a juror’s party affiliation? No. In spite of this broad finding indicating that there are no differences between Democrats and Republicans, even the study does not suggest that party affiliation is not a variable to consider. Moreover, the study found that many stereotypical Republican attitudes from jurors do lead to lower verdicts. But the study highlights that nuanced personal views are more helpful in projecting damage awards than mere party affiliation. For example, take the proposition that health care should be free for all American employees, a view shared by 87 percent of the Democrats in the study compared to 61 percent of the Republicans. The results showed that people who favor mandating that companies provide free health care gave more in personal injury damages that those who did not. There were other similar findings. Accordingly, the study is clear that markers of political leaning are useful in jury selection. Because these markers are associated with political party affiliation, the logic still holds true: all things being equal, a personal injury lawyer would prefer a Democratic-leaning jury than a Republican-leaning jury. But the real point of the study to me is that we tend to paint each other with broad brushes that do not necessarily hold true. Political party affiliation might be a part of the calculus of what might lead a juror to agree with the plaintiff’s lawyer’s view of what is fair in a given accident, malpractice or product liability case. But it is just one marker and less probative than many other markers. The problem for attorneys is that voir dire is so limited, even a weak marker is a useful marker. So if you Google a juror and find out that he gave $5,000 to a Republican candidate, you are going to strike that juror because you don’t have enough information to make a more informed choice. If you are in a state with more expansive voir dire, it is just one variable of many to consider.